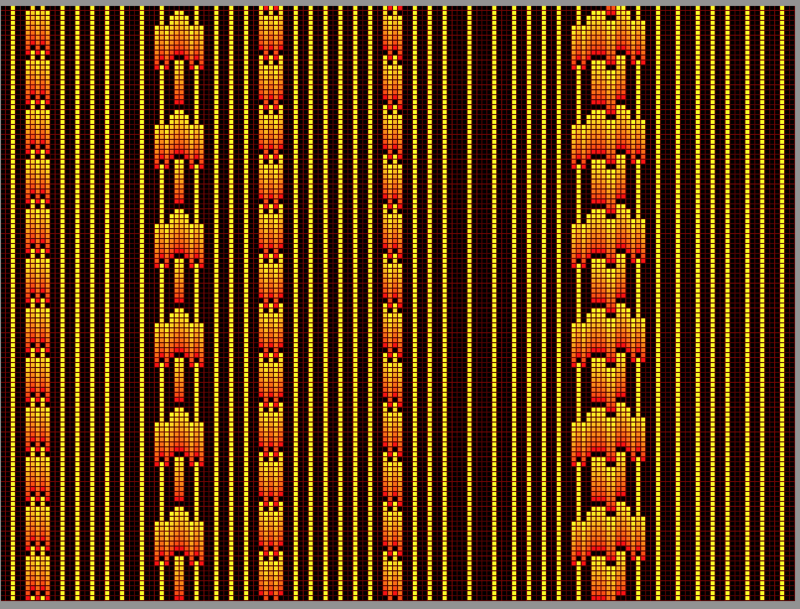 Mirek’s Java Cellebration (MJCell) is a Java applet that allows playing 300+ Cellular Automata rules and 1400+ patterns. 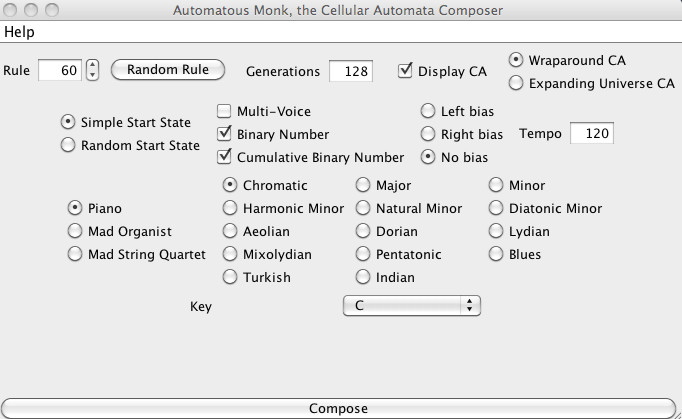 It can play rules from 13 CA rules families: Generations, Life, Vote, Weighted Life, Rule tables, Cyclic CA, 1D totalistic, 1D binary, Neumann binary, General binary, Margolus neighborhood, Larger than Life, and some of the User DLLs. It allows also to experiment with own rules. 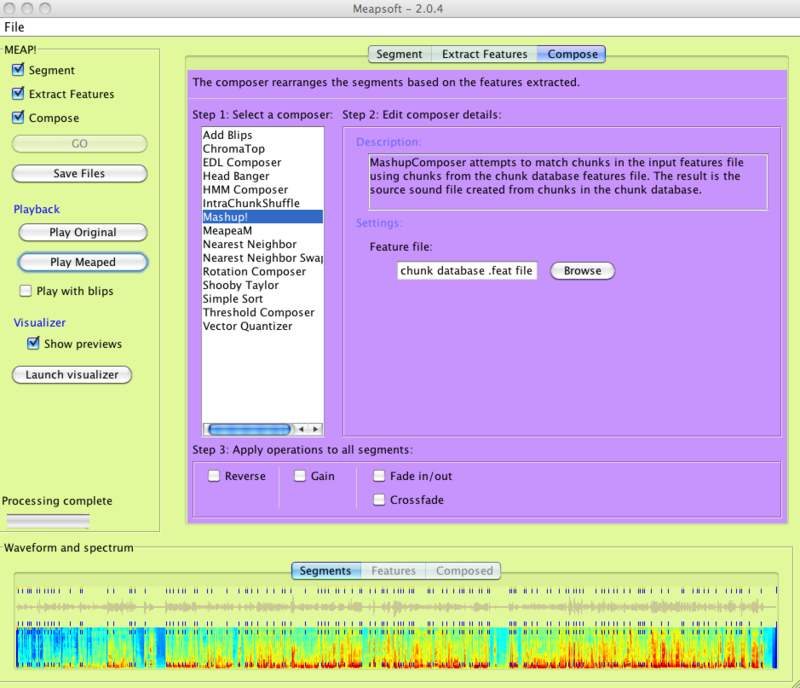 The applet is a simplified version of MCell. It does not offer extended features of MCell, but has one advantage over it: its usage is not restricted to MS Windows. Full source code of the applet is available here. You can also download the full off-line version equipped with a rich library of patterns. 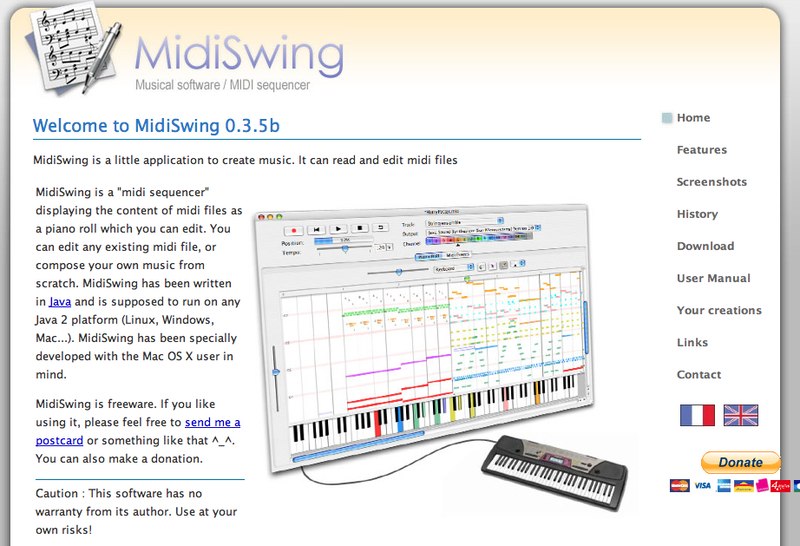 You should also download this version if you plan to put the MJCell applet on your own Web page. 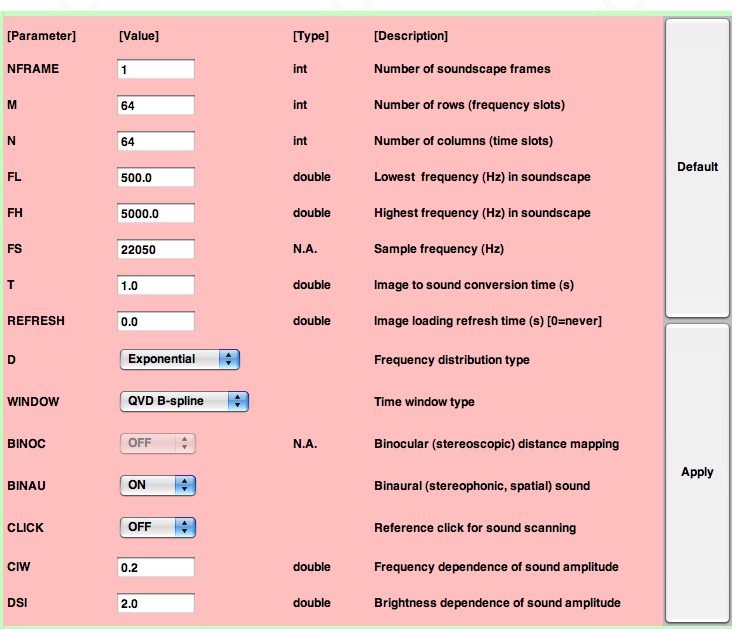 Classic auditory effects: The vOICe applet, owing to its generality, can also be used to demonstrate many classic auditory effects like beats, combination tones, critical band masking, forward and backward temporal masking, informational masking, auditory streaming (auditory fusion versus segregation or fission), comodulation masking release (CMR), modulation detection interference (MDI), auditory profile analysis, the role of onset asynchrony, spectral change detection, etc. ImageJ is written in Java, which allows it to run on Linux, Mac OS X and Windows, in both 32-bit and 64-bit modes. ImageJ and its Java source code are freely available and in the public domain. No license is required. ImageJ has a large and knowledgeable worldwide user community. More than 1700 users and developers subscribe to the ImageJ mailing list. Automate tasks and create custom tools using macros. Generate macro code using thecommand recorder and debug it using the macro debugger. 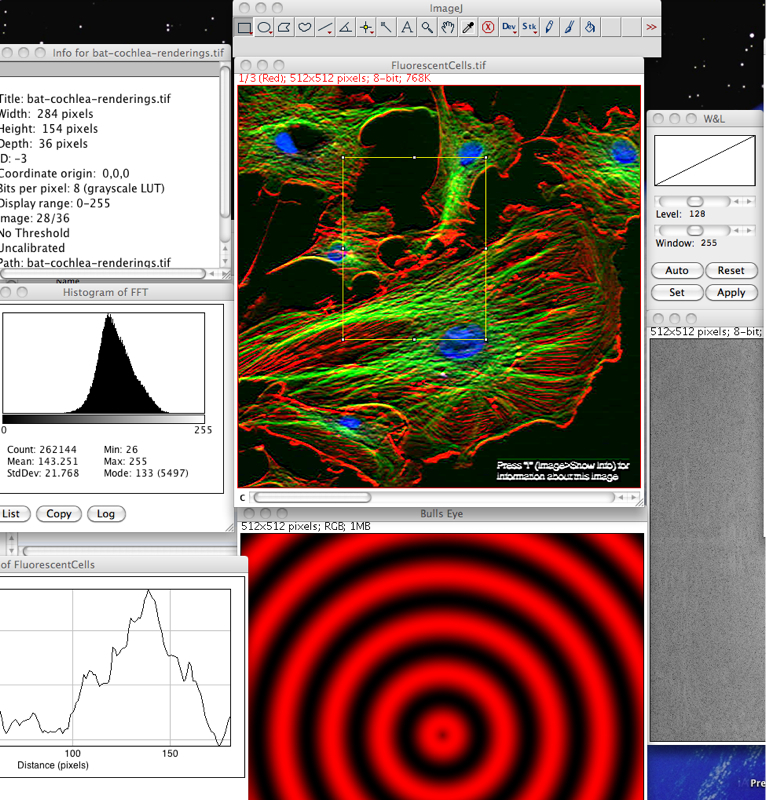 More than 300 macros are available on the ImageJ Web site. Extend ImageJ by developing plugins using ImageJ’s built in text editor and Java compiler. More than 500 plugins are available. Use ImageJ as a image processing toolkit (class library) to develop applets, servlets or applications. ImageJ is the world’s fastest pure Java image processing program. It can filter a 2048×2048 image in 0.1 seconds (*). That’s 40 million pixels per second! 8-bit grayscale or indexed color, 16-bit unsigned integer, 32-bit floating-point and RGB color. Open and save all supported data types as TIFF (uncompressed) or as raw data. Open and save GIF, JPEG, BMP, PNG, PGM, FITS and ASCII. Open DICOM. Open TIFFs, GIFs, JPEGs, DICOMs and raw data using a URL. Open and save many other formats using plugins. 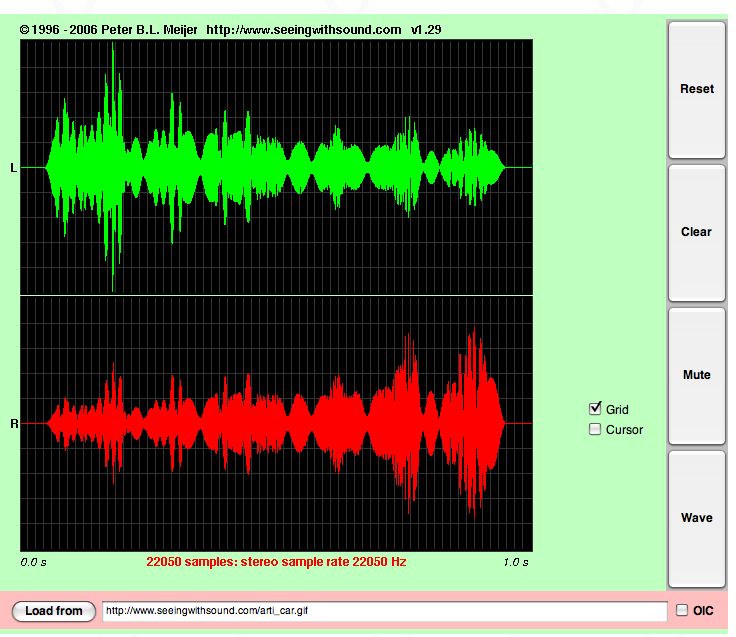 Tools are provided for zooming (1:32 to 32:1) and scrolling images. All analysis and processing functions work at any magnification factor. Create rectangular, elliptical or irregular area selections. Create line and point selections. Edit selectoins and automatically create them using the wand tool. Draw, fill, clear, filter or measure selections. Save selections and transer them to other images. Supports smoothing, sharpening, edge detection, median filtering and thresholding on both 8-bit grayscale and RGB color images. Interactively adjust brightness and contrast of 8, 16 and 32-bit images. 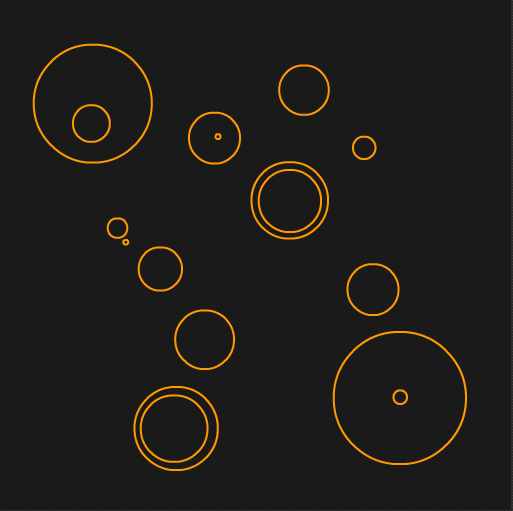 Crop, scale, resize and rotate. Flip vertically or horizontally. Measure area, mean, standard deviation, min and max of selection or entire image. Measure lengths and angles. Use real world measurement units such as millimeters. Calibrate using density standards. Generate histograms and profile plots. Cut, copy or paste images or selections. Paste using AND, OR, XOR or “Blend” modes. Add text, arrows, rectangles, ellipses or polygons to images. Split a 32-bit color image into RGB or HSV components. Merge 8-bit components into a color image. Convert an RGB image to 8-bit indexed color. Apply pseudo-color palettes to grayscale images. Display a “stack” of related images in a single window. Process an entire stack using a single command. Open a folder of images as a stack. Save stacks as multi-image TIFF files. This is a collection of my studies, extracted while developing my commercial projects or just by researching new technologies. You are welcome to leave comments. Please don’t ask for source codes.